The idea of “Innovating From Within” is a relatively new trend where a company continuously finds ways to better itself internally to run leaner, faster, and stronger, all while reducing excess spending & consumption of resources which brings value back to its owners & employees. One example is Google’s 20% Time policy where employees could spend 20% of their work week hours in a room on interesting projects or ideas that better the company. One such product that was born from this was Gmail. Unfortunately, there are often space limitations such as a lack of freely available conference rooms due to conflicting schedules. The good news is that multimedia tables allow your teams to hold meetings and brainstorming sessions easily as these tables can be deployed in many locations. 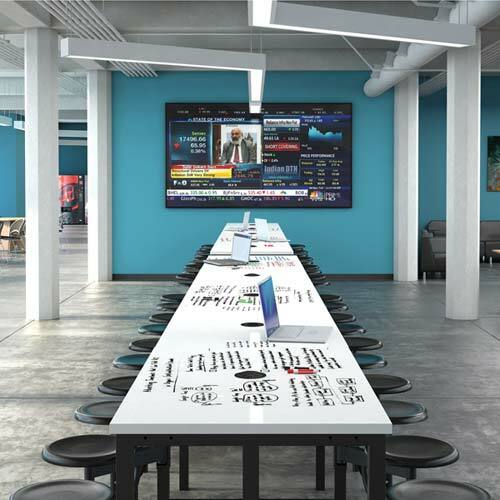 Multimedia tables foster group collaboration and fuel innovation by providing a centralized location of resources and sharing technologies that allow the free flow of ideas that can help your company gain a competitive advantage. While conference rooms often have a screen projector for everyone to view, having something more nimble that can adapt to changing perspectives and different talking points. 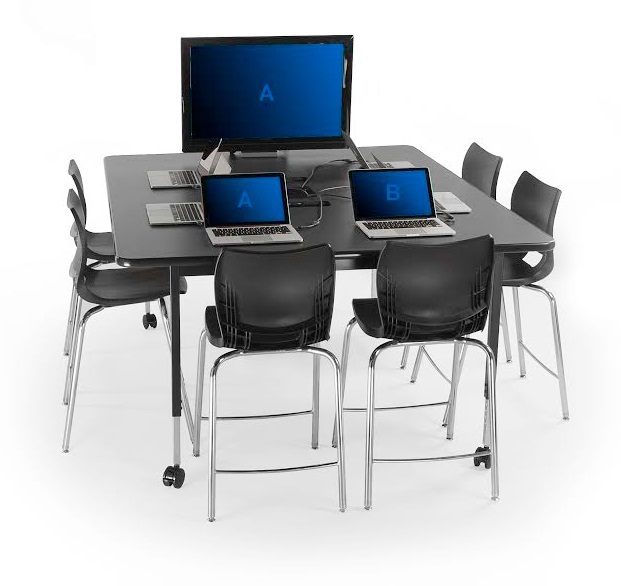 The Planner Multimedia Table by Smith System can share up to six laptops or tablet computers, allowing the group to easily see a member’s proposal on his/her screen which makes viewing and changing between multiple ideas, concepts, and projects very easy. This table is also not limited to a conference room and can be easily moved to accommodate last-minute meeting location changes. Because our fast-paced workdays are filled with impromptu meetings and last-minute schedule changes surrounded by countless technological devices, having a multimedia table with the basic resources such as a built-in power plugs and usb ports minimizes the opportunity cost of lost productivity because employees are busy looking for a power outlet, extension cable, or waiting for their work smartphone/tablet to power up because they forgot to charge them earlier. The Endure Standing Height Tables with Seats by OFM not only provides stable power for your devices, but the optional dry erase laminate top lets team members quickly jot down notes, revise project proposals, and visualize their ideas on the spot while members can easily see his/her thought process for a more efficient collaboration session. 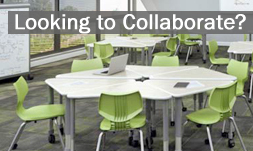 We understand that not all collaboration and meeting spaces are created equal. Some companies attempt to emulate Google and Apple’s fun and hip cultures to spur innovative thinking and allocate large amounts of office space while others want the innovative collaboration but in a simplified and practical environment. Because of this, we invite you to check out our selection of Multimedia Tables and contact us to help you pick out your next meeting space table to help your company’s productivity skyrocket!